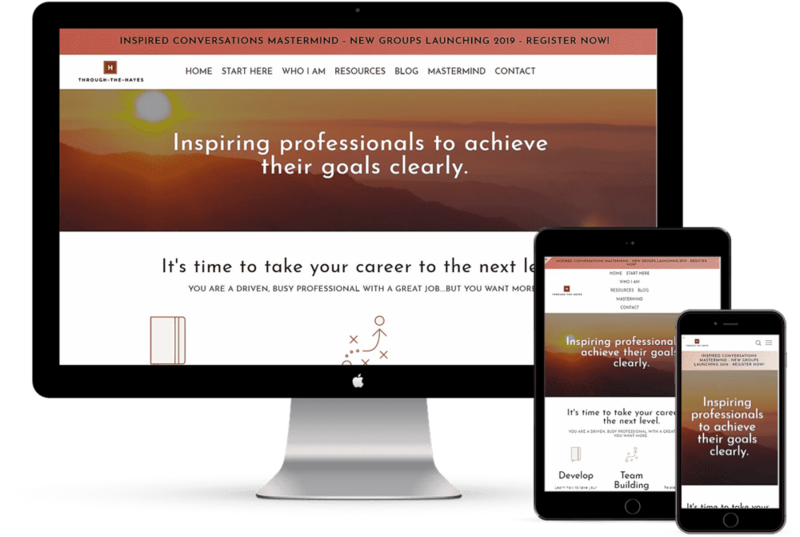 Lisa Hayes, founder of Through-The-Hayes, believes that working on professional development should be exciting, rewarding, and done often, something that she needed to revisit with her website. Lisa wanted a website that better reflected her style, who she is, and was also user-friendly. Another issue was that her Inspiration Blog was located somewhere else which took her visitors off-site, hurting her SEO and conversion rate. I partnered with Lisa to learn exactly how she wanted her brand to be portrayed. She participated in the process by contributing web copy and images so that the finished product was exactly what she wanted. I implemented Google Analytics with custom reports so she can track which pages and keywords perform the best. I also created a Google My Business account to augment her new website so she could be found more easily when her target market performs a search. Follow Lisa on Twitter and check out her monthly Inspiration Blog where she talks honestly about her life as a leadership coach and facilitator.